I have a bit of a compulsion with metal boxes. If I find a metal box — with a lid — at a thrift store, you can be almost certain that I will buy it. 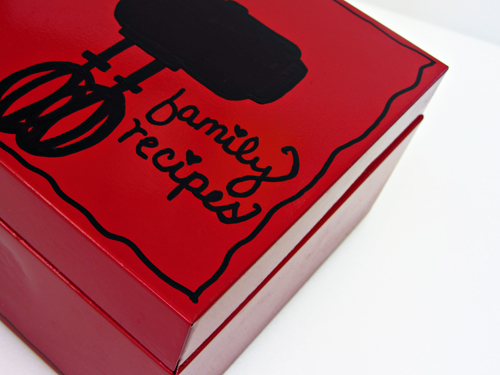 My favorite way of using thrift store metal boxes is by making them into recipe boxes. With a can of spray paint and Elmer’s Painters Paint Markers, I was able to decorate a hinged metal box fast and easily. 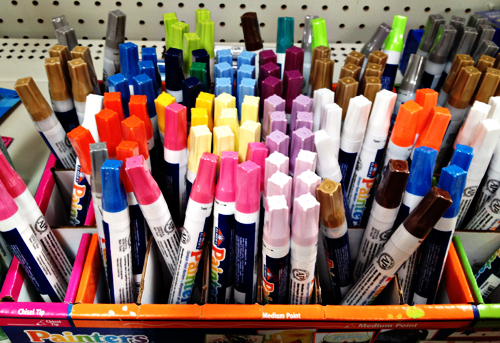 First, buy some Elmer’s Painters Paint Markers. 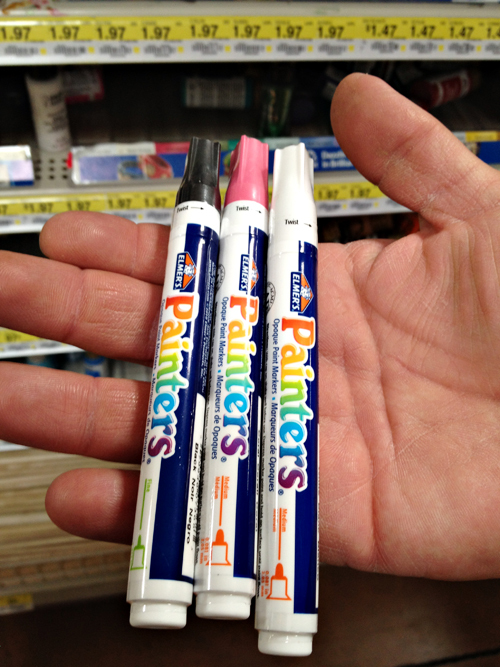 Many Walmarts are now carrying individual Painters Paint Markers in a variety of colors. They even come in different tips, such as chisel, medium point, and fine point. At my Walmart, they were just $1.97 each and we’re found in the craft department near other paint products. Choose the colors you will want for your recipe box. When I bought my Painters Paint Markers I wasn’t sure which colors I wanted to go with so I bought 3 colors that I was most likely to use (red, black, and pink). Even if I don’t use them for this project, I know they will come in handy for lots of other DIY projects. You will also want to buy a can of spray paint, if you don’t already have one at home. If you don’t have a metal box, you’ll want to get one. I find that metal filing card boxes are getting harder to find at stores like Walmart and Target, so I always buy mine at thrift stores when I see them. 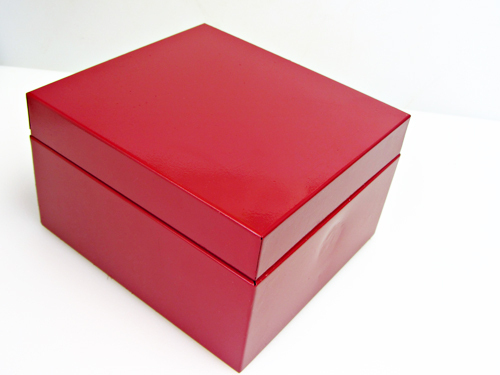 If your box has a glossy feel to it, lightly sand it so the spray paint will adhere better. After sanding, make sure your box is clean (wash with soap and dry completely). 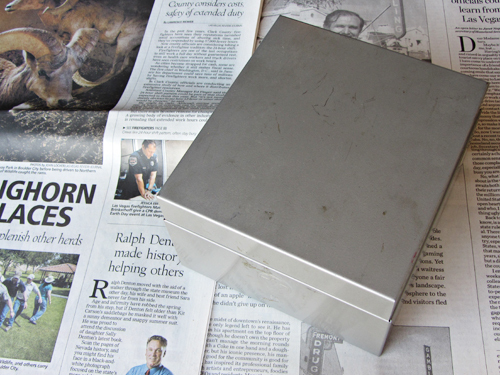 In a well-ventilated area, place your box on newspaper or cardboard to protect from over spray of the spray paint. 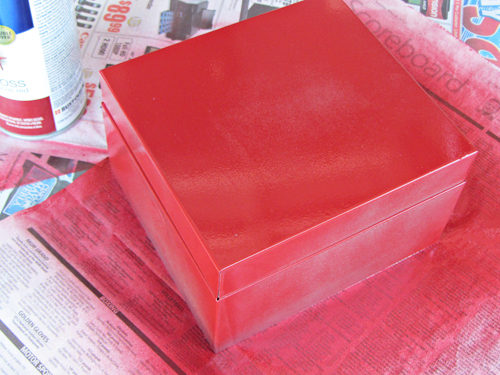 Apply several light coats of spray paint until your box is completely and evenly covered with its new color. See how pretty? I already love the look. 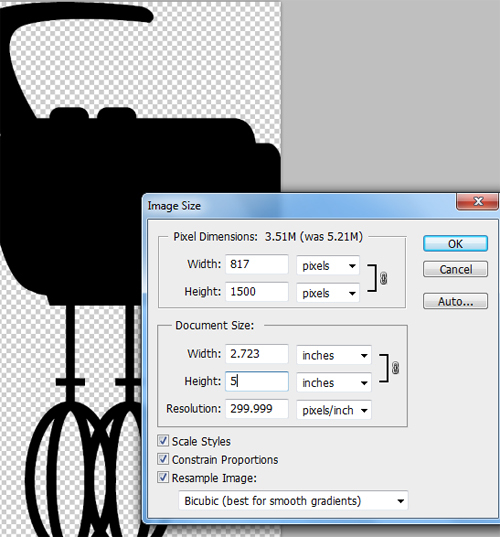 In photo editing software such as Photoshop or Photoshop Elements, open an illustration and resize it so it will fit on your box. 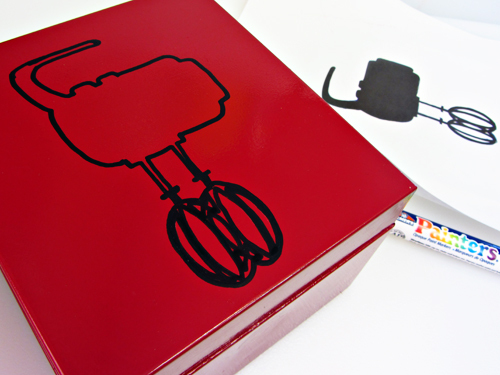 I am placing this hand mixer design that you see in my Home Cooking Memories logo on the top of the lid of my box, so I want it to be no more than 5″ tall. Measure you own box to determine the size you need. 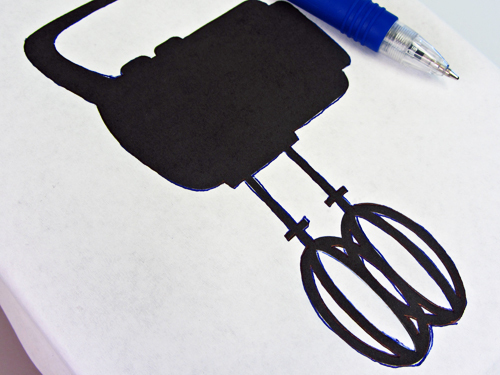 Print out the image you are using on regular copy paper. 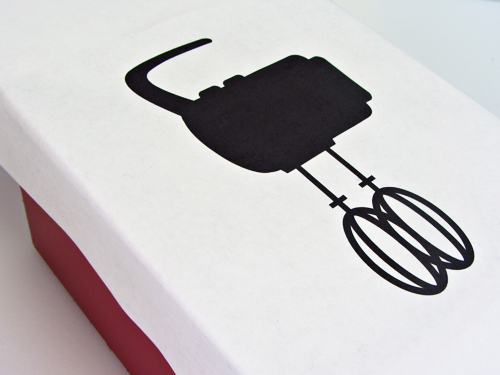 Place the printed design on your box where you would like it to be displayed. I used a bit of re-positionable tape to secure the design on my box. 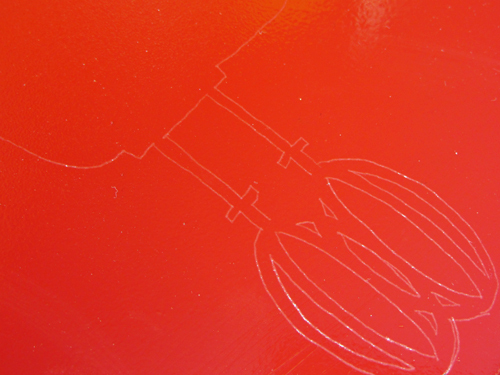 With a ball point pen, trace the edges of the design, pressing firming. Try to trace the design accurately, but don’t worry if you make a mistake here or there. You’ll see I had several mess ups. 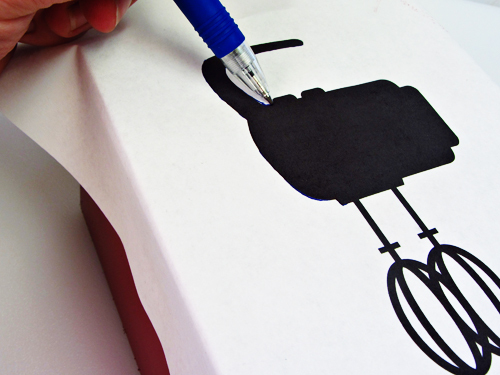 Remove the paper and you should see lines where you were tracing the design. 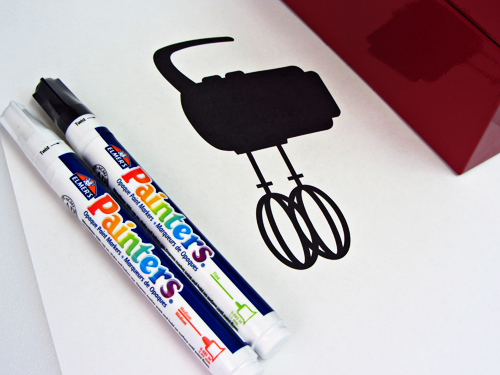 Remove your pattern paper and with your Painters Paint Marker, trace the markings carefully. After tracing the outside edges of the design, color in with the Painters Paint Marker. Feel free to add a name, title or other doodles. 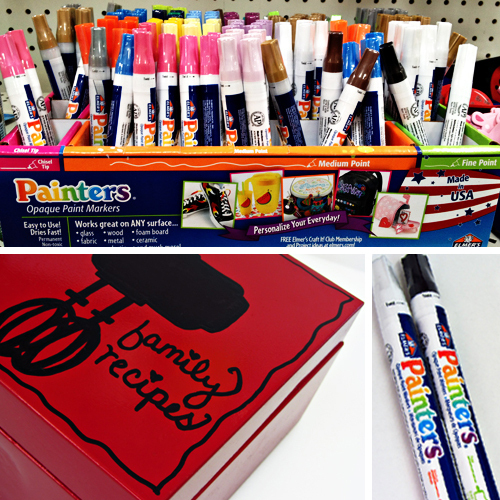 For more information on Elmer’s Painters Paint Markers, visit http://www.elmers.com/. You can also get lots of creative DIY ideas by following them on Twitter at https://twitter.com/elmers or by liking them on Facebook at https://www.facebook.com/Elmers. 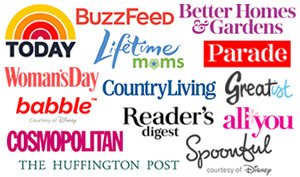 And thank you again to my friend, Valerie, for her awesome hand mixer illustration in my logo, plus this project! Love this Brandi! Such a great idea to use a thrift find! That’s awesome, I love how it turned out! 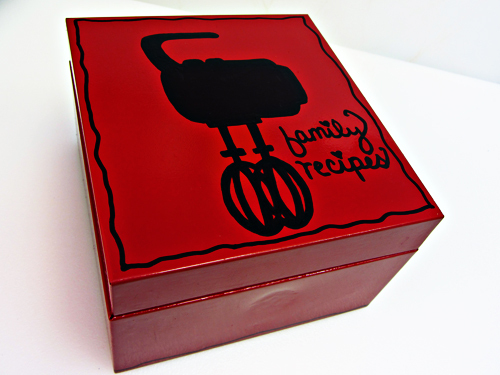 I have many of these metal recipe card boxes and they are all packed with family recipes, so I can’t think of a better slogan to write on it!